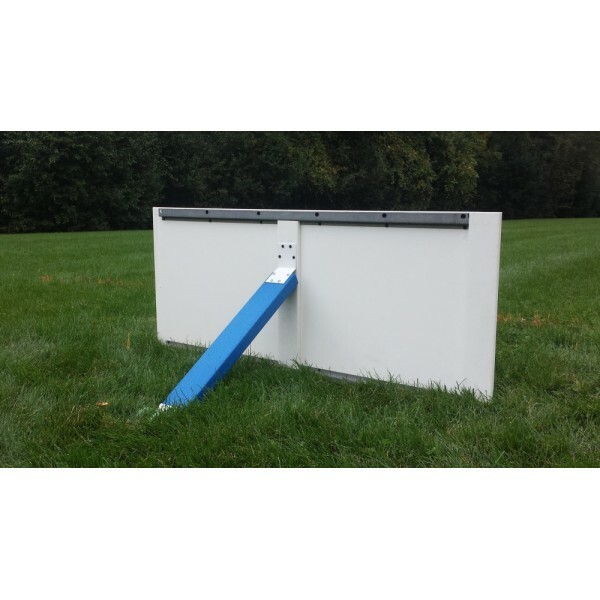 Outrigger Deluxe Shorty is used for to support high water levels due to an un-level rink site while maintaining a professional look for many years to come. 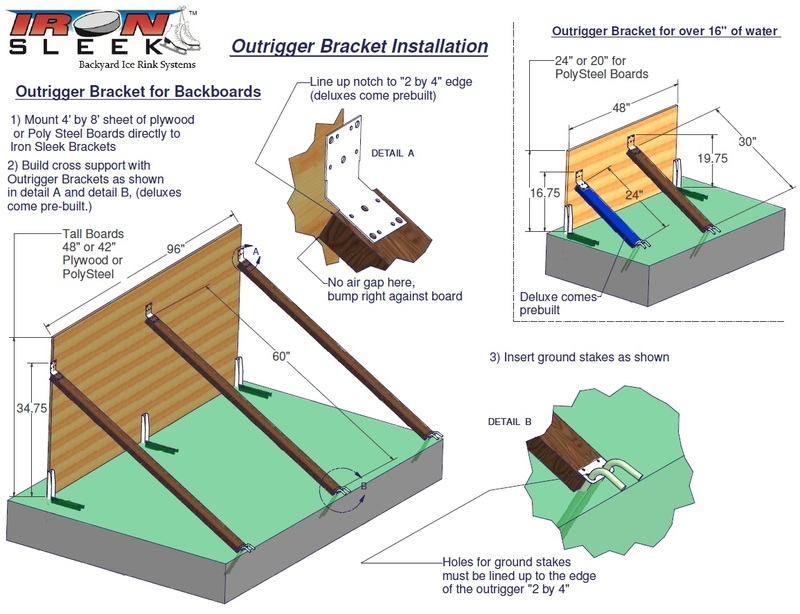 If you have more than 16 inches of water, add these to your rink to keep it sturdy. 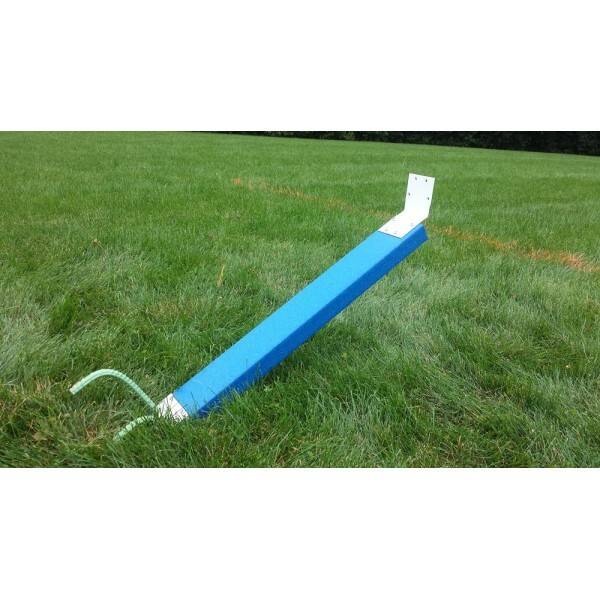 The outrigger deluxe short is 2 feet long and is 1.5" thick by 3.5" wide. It is a HDPE UV stabilized 2 by 4 in luxurious blue. It is 100% plastic with the standard Iron Sleek Outrigger brackets attached. It also comes fully assembled and includes ground stakes. This can be done with a basic Iron Sleek outrigger but the deluxe does it with top style.